There is a different manifestation and different blessing everyday with the understanding that awliyaaullah give. No moment is like the other moment. Every moment has its own state and every minute, every hour and every day has its own taste. Imagine, from a moment to a day, how many minutes we have. In a minute there are 60 seconds, and in an hour there are 60 minutes. So there are 3600 moments in an hour; 3600 multiplied by 24 hours a day. How much will it come? It will come to 80,000 or more, even 90,000 moments in a day. In every moment a different tajalli is descending. This means in one day you will be receiving in the level as mentioned before, in the second Divine Presence, which is `Alam al-Malakoot, the World of Heavens. It is the place where all anwaar qudsiyya tajalla, holy lights are manifested. He didn’t say, al-noor al-qudsi (one light manifest), he said, al-anwaar al-qudsiyyah, (all holy lights manifest), which means every one is being manifested in `Alam al-Malakoot. When awliyaaullah speak, they take their mureeds all the way to the (presence of the) awliyaaullah. Their talk or advice is mostly for the Hereafter, not for dunya. Some people might come for dunya, saying they have this problem or that problem. For awliyaaullah, this is the lowest level of asking, but they are happy for mureeds or students whose hearts request to learn about the heavenly world, `Alam al Malakoot. They take their mureeds there and show them that al-fayd al-noor, (the outpouring of the light), al-anwaar al-qudsiyah, the manifestation of the (holy) lights. And these lights (plural) can be 1, 2, 10 or 100 millions of lights, always descending. We can say that when Allah (swt) manifests His light there is no limit. Might be trillions, quadrillions and should be infinite. There is no restriction or limitation on these heavenly lights that are descending in the second level of the awliyaaullah. Those who are present in this level with their hearts are receiving them, and those not present in their hearts, will be yuhramu, prevented from getting them. But rahmata ‘n-Nabi, Rahmatan li 'l-`Alameen, Sayyidina Muhammad, `alayhi afdalu 's-salaatu wa ‘s-salaam, yaa Sayyidee, yaa Rasoolullah, yaa Rahmatan li 'l-`Alameen, adrikna yaa Rasoolullah. From rahmatu ‘n-Nabi (s) (mercy of Prophet) which awliyaaullah inherited, they requested that their followers who are lazy in reaching that level also be granted the manifestation of that light. That is not something that is easy! What do you think? You reached the fifth level and there is no resemblance between the third and fourth level in how much Allah gave awliyaullah of knowledge; you heard about that level before. So Grandshaykh (q) said that on every letter, as every ? is represented by a letter of holy lights, when these lights come down, then with them infinite letters are coming down making words, so it will be heavenly words. The alphabet is comprised of 28 letters and lam, alif is 29 and when these lights are coming down they appear as every light representing a different letter. So if they come 50 lights, means 50 different letters of the alphabet. It might make new words that we don't know, Arabic words. So if you read from Sayyidina `Ali or from those who took from secret of Sayyidina `Ali, all these different words that they tell you to recite it for black magic to take jinns away, they are letters you never heard about. And we have mentioned some of that in Du`a Ayatu 'l-Kursee. So these are coming from the lights that make a word and that word is carrying a secret. That word has five letters, for example Sayyidina `Ali said, "Say hashookh, kashookh, mashookh;" these are words that carry power on anything. We cannot understand their meaning, but awliyaullah can understand and that is why they use it. So you find a lot of that and the awliyaullah recorded a lot of that and it becomes a ruqya that protects you or inspires you for doing this or this or that. And all of this is coming from these different lights. So if you have ten lights a day and you have 90,000 moments, it means one-million lights and that means one-million letters that make up words. And every word is an Ocean! And Grandshaykh (q) said that on every letter Allah will open 12-24 thousand oceans of knowledge. For example, Alif lam meem dhaalika (2:1,2). Dha, when a wali reads according to his level, he can take 12,000-24,000 oceans of knowledge, and if that dha is repeated in Holy Qur'an you will get 12,000-24,000 oceans of knowledge.  And the alif is the same, and with different knowledge on each one, and alif might be how many (in the entire Qur'an)? And what you take from that is different from what the other wali takes. One wali takes different 12,000-24,000 oceans of knowledge than the other. And since 1400 years awliyaullah and people are reading Holy Qur'an, so how much knowledge came to them from Prophet (s)? This shows us we are helpless! Look at Ihsan or Abdul Haqq or me; mashaa-Allah we have long beards. Show his beard; it is a long one, and his hairs are different from what I have in my beard, and his is different from what the other has in his beard. That means you don't know yourself yet. Do you know how much blood has come to each hair cells you have? How many cells of blood came to cells of the hair and took the poison out and moved it? Are you able to count? No, even a big laboratory cannot count; that is a simple example. So what do you think about anwaar al-qudsiyya? If hairs in our beard cannot be in measured, how can these heavenly lights ne measured? O believers! Don’t think of yourself as clever or that you can question. People must not be in doubt about the existence of Allah (swt) and the Prophet (s), about Islam or Sayyidina `Isa or Sayyidina Musa, the Holy Bible or Old Testament. Who are you to doubt or question? You don’t know anything and you think you are the highest one to have questions. Take your questions to the kindergarten; that is where you can have questions! That is why: don’t let Shaytan to throw doubt in your heart. Allah (swt) sent Sayyidina Nuh, Sayyidina Ibraheem, Sayyidina `Isa, Sayyidina Musa, and Sayyidina Muhammad (s) (Mawlana stands) to guide us to what benefits us. They are our examples and if you need examples, go to people who are in the second level of `Alam al-Malakoot or higher, like Mawlana Shaykh; sitting with him and looking at him is enough for you. So when we receive from the first heaven to the seventh heaven, it is a role-model place and that is where you take examples and role models. Don’t take examples or roles from those who don’t know anything about Heaven. Grandshaykh (q) said that Prophet (s) threw a vision to his heart, that if you look at the Jabal (Mt.) Uhud, it will witness and intercede for you to go to Paradise on the Day of Judgment. It will say, “That person came to visit me and I was the one that saved the Prophet (s) from Unbelievers.” The cave came and took the Prophet (s) and went back. Your sins will be waived by looking at Uhud because not one of the Sahaaba died there without saying, “Yaa Rabbee, I am dying for the sake of Ummatu ‘n-Nabi.” Or else they would never die in battle, like Khalid bin Waleed (r) who died in his bed, despite having 101 sword wounds on his body. The other Sahaaba (r) who died there only accepted to die if they could take the ummah to Paradise. We are so ignorant! We have no knowledge of what is really going in hearts! We are only looking from outside and create questions in our minds, this and this and this. That is why awliyaaullah have no questions. If you read the Holy Qur’an from beginning to end, you see Sayyidina Muhammad (s) did not ask one question, and sometimes he was in need for people to learn, and in need for references or answers, but he didn’t ask. And the answer was delayed, as in the case of Sayyida `Ayesha (r) when the answer was delayed for thirty days and people were saying unacceptable things. Prophet (s) was waiting for wahiy (revelation) to come, as he wanted innocence to come from the heavens. Sometimes they (other groups and individuals) say about us something bad. Don’t defend (our position); Allah (swt) will defend it and He will defend those who have belief. We are helpless! Yaa Rabbee, defend us against Shaytan, who is behind the wall, waiting for us. Throw him away and help us! And may Allah (swt) bless us. We are weak servants.